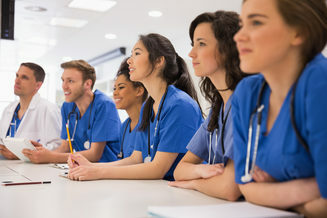 The mission of the college is to identify and facilitate quality programs of study that bring students together in an academic setting which encourages the development of educated, responsible professionals who meet the demands of our employment market. 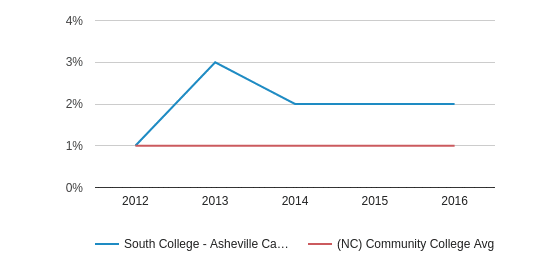 South College - Asheville Campus serves 303 students (82% of students are full-time). 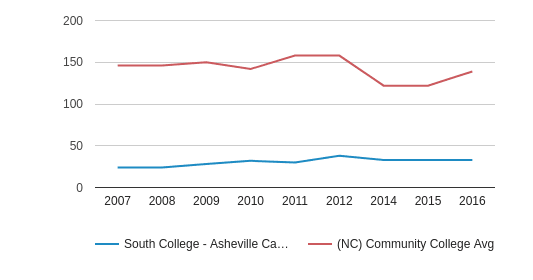 The college's student:teacher ratio of 9:1 is lower than the state community college average of 19:1. Minority enrollment is 16% of the student body (majority Black and Hispanic), which is less than the state average of 38%. 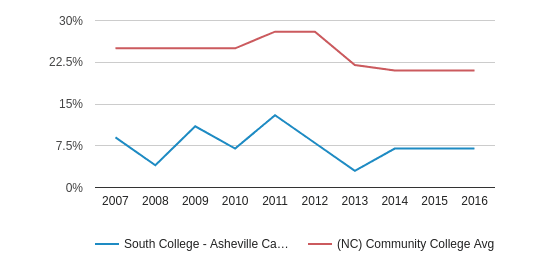 South College - Asheville Campus is one of 2 community colleges within Buncombe County, NC. 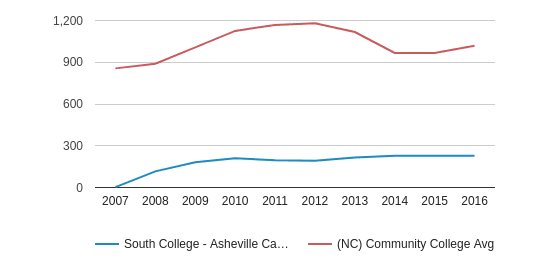 The nearest community college to South College - Asheville Campus is Asheville-Buncombe Technical Community College (4.6 miles away). 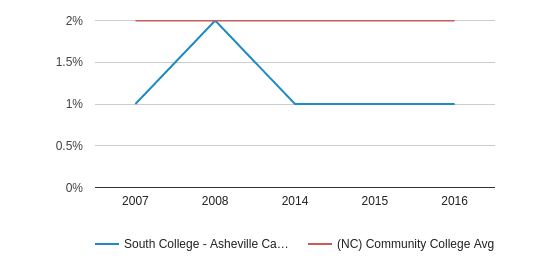 South College - Asheville Campus (NC) Community College Avg. 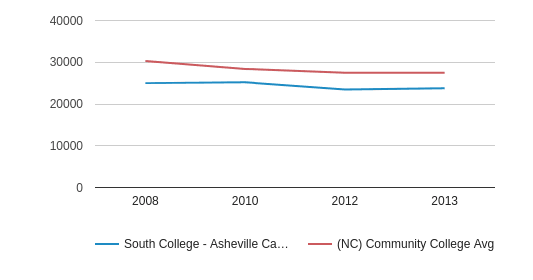 The student population of South College - Asheville Campus has grown by 7% over five years. 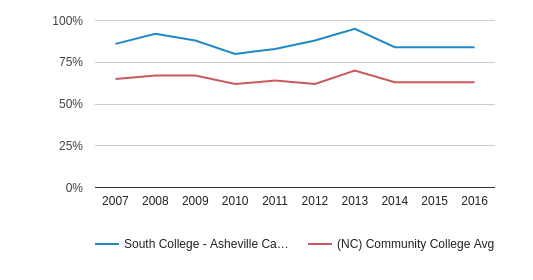 The South College - Asheville Campus diversity score of 0.29 is less than the state average of 0.56. The school's diversity has stayed relatively flat over five years. 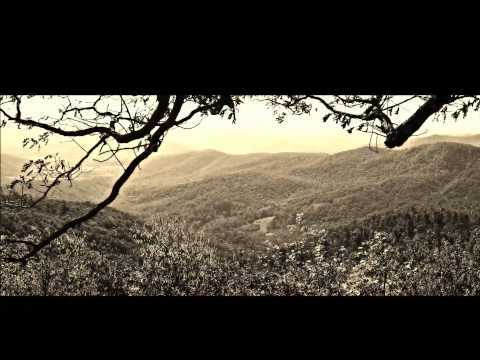 A private, co-educational, nonsectarian academic institution, South College-Asheville offers varied and well-balanced programs at the associate and certificate levels. Robert Talmadge Cecil founded South College-Asheville, formerly Cecils Business College, in 1905. The college's first classes were held in the Oates Building on North Pack Square but was relocated throughout the years to several different locations in downtown Asheville, including College, Haywood, and Broadway Streets, as enrollment and faculty numbers grew. The college soon became one of the highest rated schools of its kinds in the Carolinas and was one of the first colleges to identify itself with the National Association of Accredited Commercial Schools, an organization of more than 100 of the best business colleges in the United States. 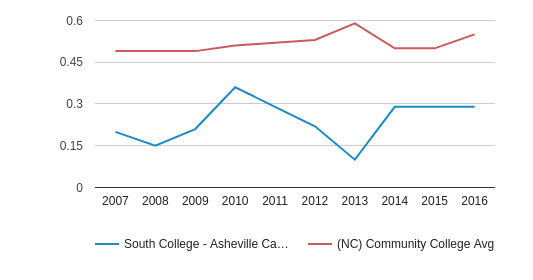 In October of 2016, South College-Asheville and South College, located in Knoxville, TN, compleated a merger endeavor. South College, Asheville Campus, is now a learning site of South College. South College is regionally accredited by the Southern Association of Colleges and Schools Commission on Colleges.